In 1908, a tradition was born – the annual St. Pat’s celebration at Missouri S&T. Each year, the celebration becomes larger than life. Be a part of the festivities and join the hundreds of people from across the country in a the best ever St. Pat's celebration. Love St. Pat's and want to be more than just part of the celebration? Help organize the fun and join the St. Pat's Board. Learn who is who on the Honorary Knights list for 2019. Also check out the Student Knights and Queen of Love and Beauty candidates. Four more daze, folks! The official 2019 schedule of events is out there, so make sure to mark your calendars so you don’t miss any Follies or parades! Get your green, Missouri S&T! The St. Pat's Committee members were out in force on Friday, despite the snow. Be like them and stay warm with a new sweatshirt. 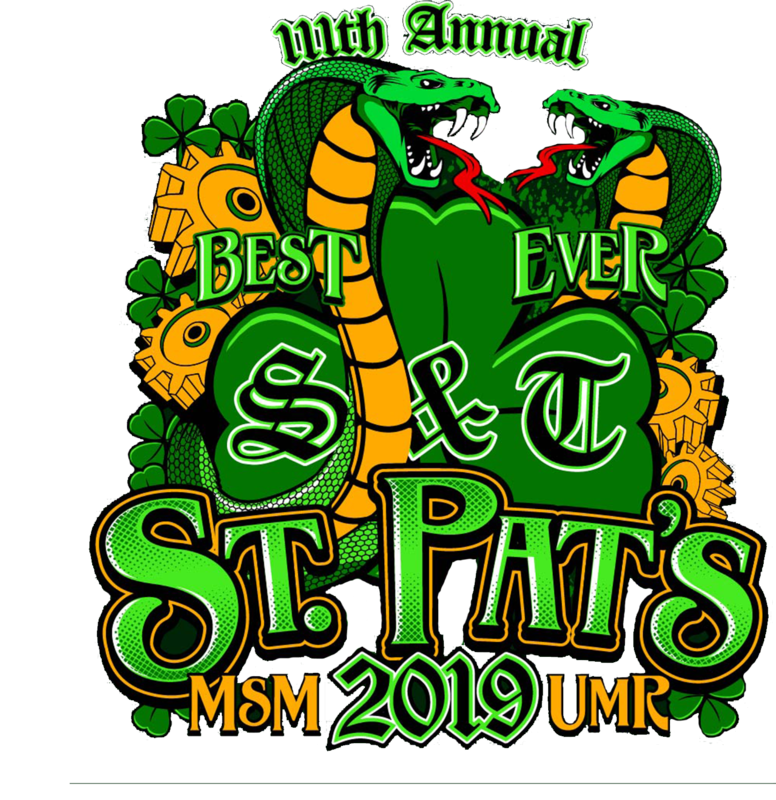 The 2019 Best Ever St. Pat's is coming up fast, so get your green and mark your calendars for Saturday, March 16.